Students will be helping in orphanages, presenting American culture and civilization in middle and high schools, and exploring different cultures. 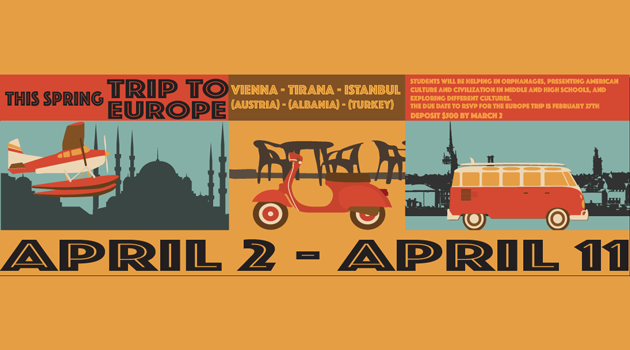 The due date to RSVP for the Europe Trip is February 27th. Deposit $500 by March 2.